If you have ever seen the movie Who Framed Roger Rabbit (1988), you’ve heard one theory why the best intraurban transportation system in America was destroyed. I think I can assure you that Judge Doom’s hatred of cartoon characters was not the reason why the Pacific Red Cars stopped running around the 1950s. If you’re looking for a reason, you could blame the construction of new freeways, the desire of General Motors to put every American behind the wheel of a Chevrolet, or the aging of the Pacific Electric rolling stock. My late friend Bob Klein even wrote a novel in which the Red Cars figured—The Road to Mount Lowe—an enjoyable work (if you can get your hands on a copy of it). For whatever reason, the Pacific Red Cars were replaced; and, L.A., which once had a world class public transportation system, wound up with bupkis. When I first came to Southern California, there were the buses of the Rapid Transit District (RTD), which were grossly inconvenient. For instance, going from West Los Angeles to Long Beach took upward of three hours or even more. Then the RTD gave way to the Metropolitan Transit Authority (MTA), and things slowly began to change for the better. 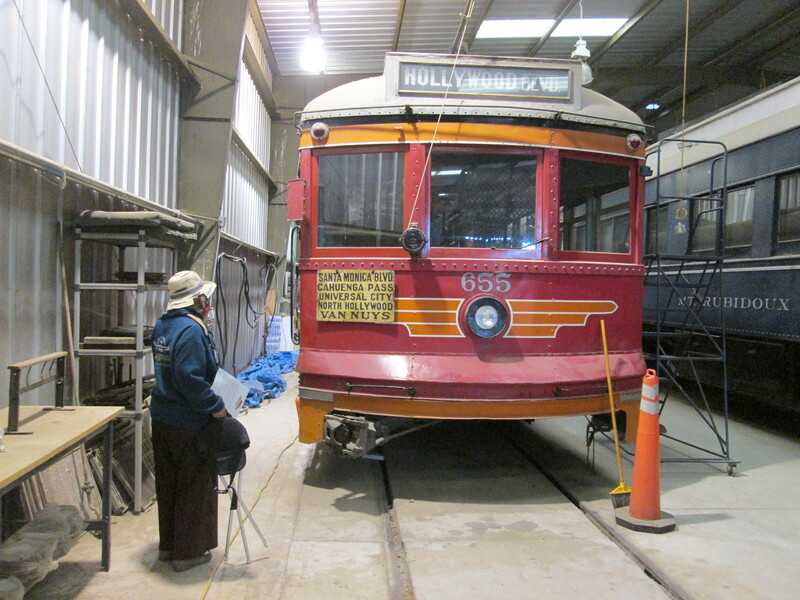 First of all, the old Red Car right of way between downtown and Long Beach was rebuilt as the Blue Line. Two subway lines were built: the Red Line, connecting downtown to North Hollywood/Studio City, and the Purple Line, from downtown to Western Avenue. (The latter will eventually extend slightly west of the UCLA campus.) Then there was a Green Line connecting Norwalk to El Segundo. (Why didn’t they run from Norwalk to the airport? Politics?) Finally, the Expo Line now connects downtown L.A. to the beach at Santa Monica. I am a regular rider of the Expo Line, allowing me to go downtown for thirty-five cents instead of paying twenty plus dollars for parking. Although the present network is still nowhere as extensive as the original Red Cars, it’s nice to know that the public transportation scene in Southern California is no longer going into eclipse. 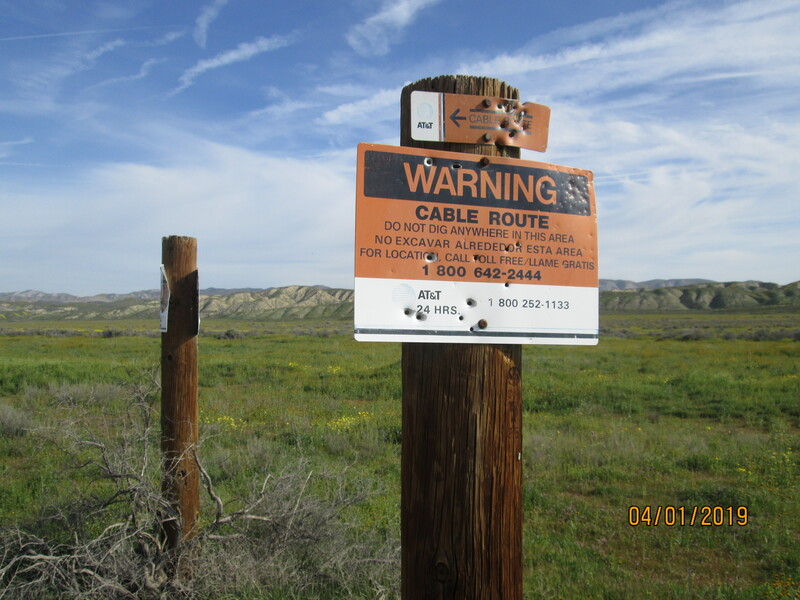 Yesterday, as we were motoring along the Soda Lake Road through the heart of the Carrizo Plain, Bill Korn said something that made me sit up. “Those mountains on the right have nothing to do with the ones on the left.” The truth of that remark hit me between the eyes. 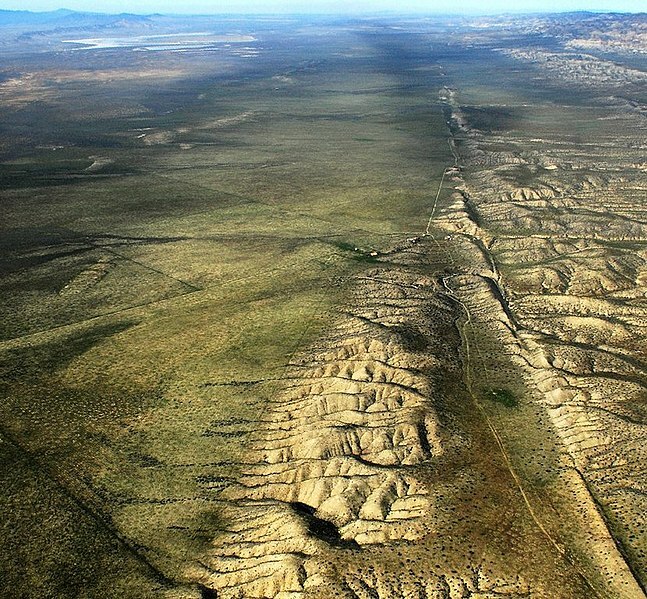 The Plain was a boundary between two tectonic plates—the North American Plate on the right, which was moving ever so slowly to the southwest, and the Pacific Plate, containing most of the population of California, was as slowly heading northwest in the direction of Alaska. And Bill was right, the two mountain chains, separated from each other by only a few miles, had no resemblance. The movement amounts to an average of only a few millimeters a year, but there have been times that the motion has been more catastrophic. In 1857, the Fort Tejon Earthquake created the strange Chinese scenery of the Devil’s Punchbowl on the north slope of the San Gabriels. Then there was the 1906 temblor and fire that leveled San Francisco and the 1989 Loma Prieto quake. There will be more, a lot more, but hopefully spread over many years. I have lived through the 1971 Sylmar Quake and the 1994 Northridge Quake, both of which had me gelid with fear. Perhaps I dwell too much in my blog posts about volcanoes, earthquakes, hundred year floods, and other disasters. That is because I realize how fragile our lives are. Most people would rather not think about such things, even if they are inevitable. So they build unreinforced brick houses on fault lines or live on the banks of rivers that frequently overflow their banks. Then there are those Guatemalan peasants who live on the slopes of volcanoes because the earth there is so conducive to growing coffee beans and other crops. My friend Bill Korn and I have been talking about seeing the wildflower blooms at the Carrizo Plain for several years now. As long as I worked doing taxes, however, I was never able to go before April 15; and by that time, the show was all over. Now, being retired, I jumped at the chance. Bill and I met at a Western Bagel in Valencia—he started his trip in far-off Altadena—and we set out in his Prius. On the way, we passed through Frazier Park and the high country around Mount Pinos before descending some four thousand feet to the level of the Carrizo Plain. 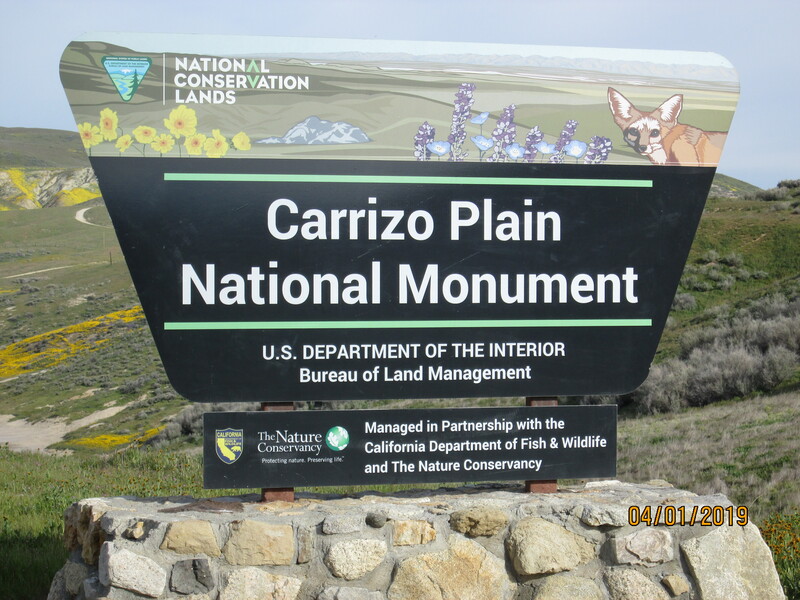 The Carrizo Plain National Monument is different from most national parks I have visited. There is no one to collect admission fees at the entrances, and no park rangers were in evidence (though I suspect they exist). Though it was a Monday, there were a lot of cars, particular in the northern part of the park. Most of the action is along the main route called Soda Lake Road that runs the length of the park, paved for approximately half its length, and oiled dirt and gravel for the other half. There were numerous dirt roads that led to subsistence ranches and places that were inaccessible because of deep mud lingering from the heavy rains earlier in the year. One interesting feature of the park is that Soda Lake Road runs side by side with the San Andreas Fault. I plan to write about this tomorrow if I have the time. This park is probably the largest single section of California grassland that is more or less intact. I didn’t get the feeling that the few ranches we passed made much of a negative impact on the wildness of the place. I will not soon forget the beauty of the Carrizo Plain. I hope I can return some day after another spectacular peak wildflower bloom. 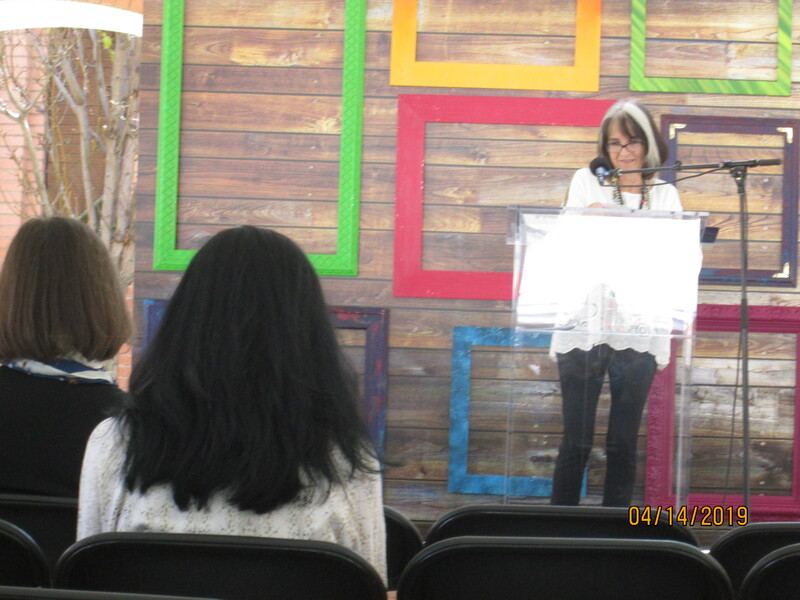 On Saturday, Martine and I re-visited the Heritage Square Museum in Highland Park. We had been there many years ago, when it was a struggling attraction in the process of coming into being. 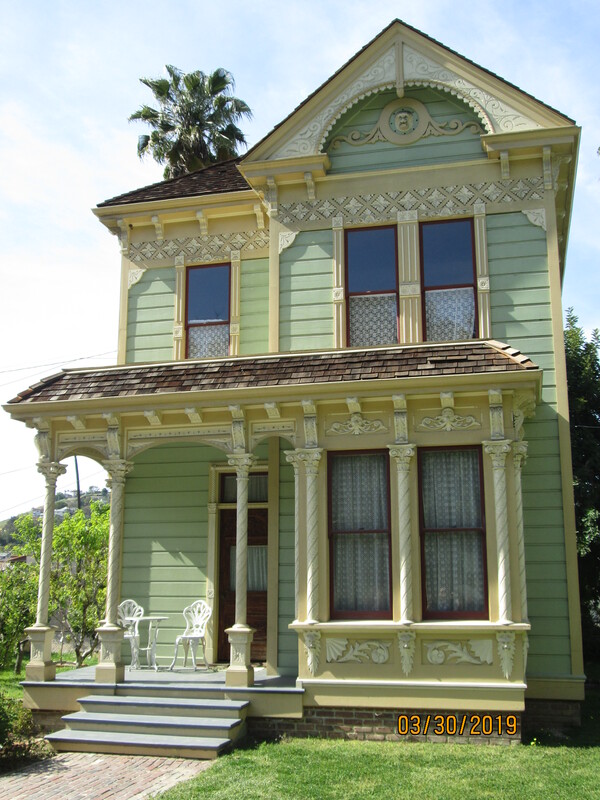 Most of the old Victorian houses that had been moved to their location just off the Pasadena Freeway were not yet furnished. In the intervening years, we would pass by the site visible from the Freeway. I am glad that Martine suggested we give the place another chance. We don’t think of Los Angeles as an old city, despite the fact that it was founded as a Spanish pueblo in 1781—some fifteen years before Moses Cleaveland founded the city of my birth. 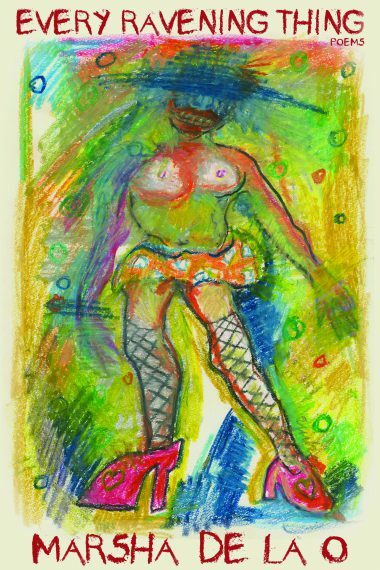 But whereas Cleveland has shrunk into relative obscurity during my lifetime, Los Angeles has become one of the great cities of the world, and the second largest in the United States. One of the reasons we think of it as a new city is that we have made too liberal use of the wrecking ball to clear away old building to replace them with new ones. The only real way to visit Heritage Square is to take one of the tours that begin on the hour. The ours themselves last upward of two hours and are quite informative. Our guide explained how, even after they have been moved, two of the houses are subject to paranormal phenomena. 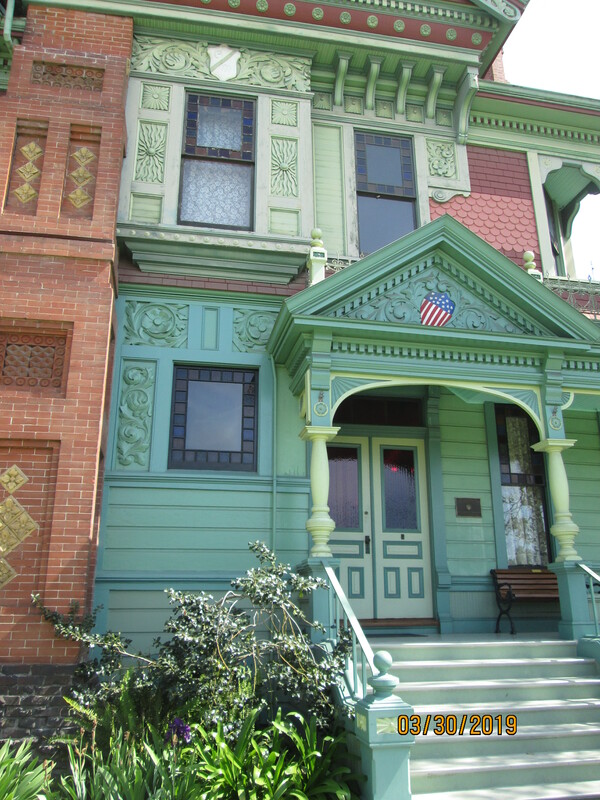 Most of the incidents were in the octagonal Longfellow-Hastings house, at which an apparition appeared during one daytime tour. There have also been occurrences of table-tipping; and, one time, a latched door opened by itself just as the tour guide was planning to release the latch. No spirits made a ruckus during our tour yesterday. In a post I wrote a few days ago, I remember saying that tulips and California poppies are my favorite flowers. 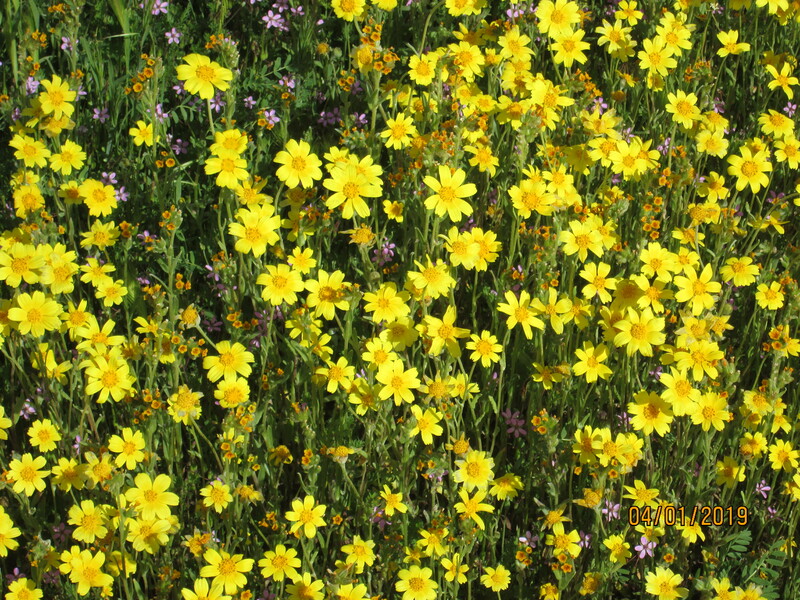 This rainy season has been unusually good, with the result that the wildflower bloom this month is utterly spectacular. That was also the case in March 2003, when Martine and I visited the California Poppy Preserve with its gentle hillsides blooming with millions of orange flowers. 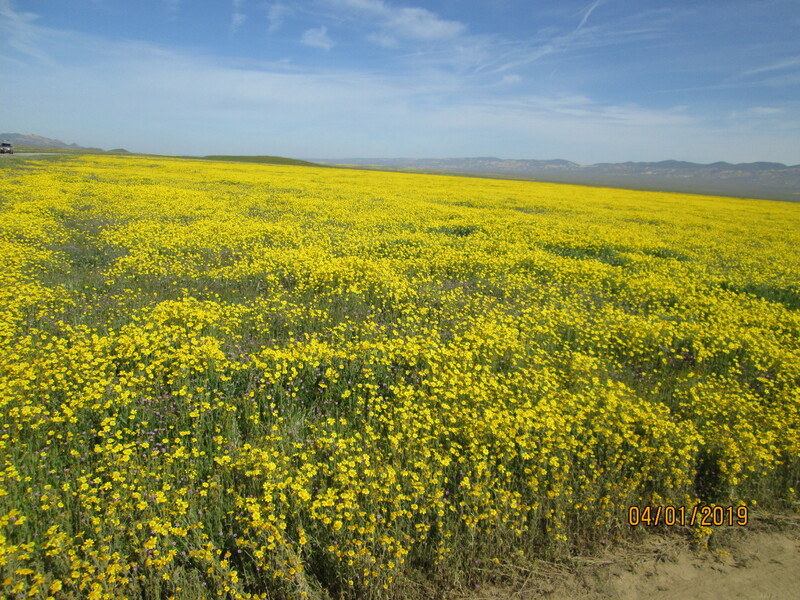 On Monday, my friend Bill Korn and I hope to visit the Carrizo Plain National Monument in rural Santa Barbara County, where there is another spectacular set of blooms. We had hoped to do it in previous years, but so long as I was racing to prepare tax returns in time for the April 15 deadline, that was a virtual impossibility. For the last twenty-odd years of my accounting career, I typically worked seven days a week in March and the beginning of April. Never having been to the Carrizo Plain, all I know about it is that it is in a remote area and does not even have paved roads throughout. Several of the roads in the park are currently closed due to mud. 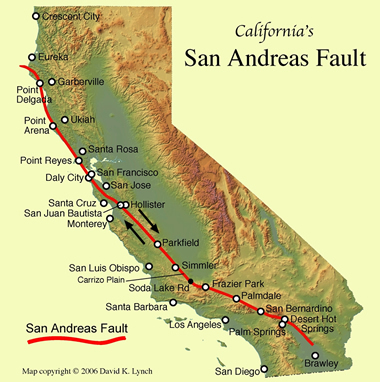 Its best known physical feature is that the San Andreas earthquake fault runs right through the middle of it. Today, despite the vaguely threatening weather, Martine and I went to Descanso Gardens to see the tulips, which are at peak bloom right now. They were magnificent! For Martine, it was even better, as we dined twice at her favorite Glendale eateries: Sevan Chicken and Elena’s Greek and Armenian Restaurant. If I were asked which are my favorite flowers, I would answer tulips and California poppies. Roses are nice too, but I have too many memories of having to pick off and kill Japanese Beetles from my parents’ tree roses in Parma Heights, Ohio. 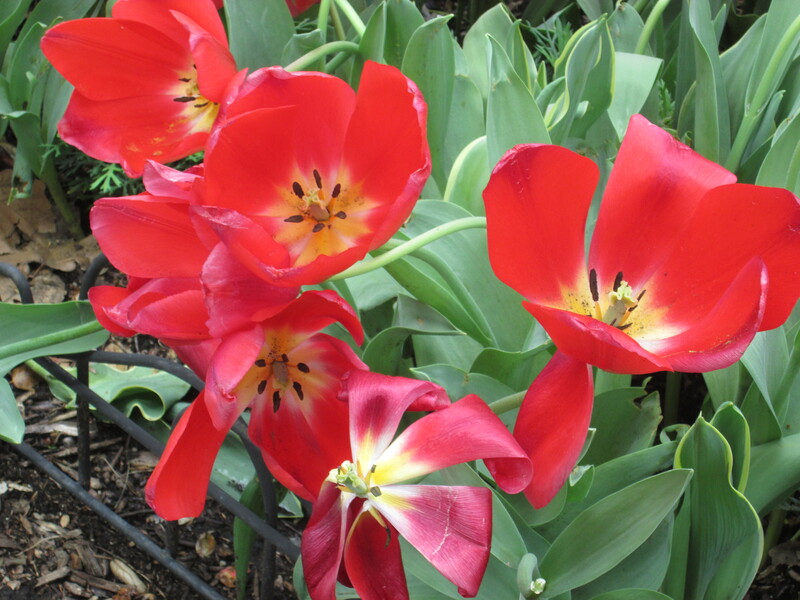 Moreover, roses never look quite so perfect as tulips and poppies do. Next after poppies and tulips come camellias. At Descanso Gardens, this has been a bumper crop year for the camellias, which are still at peak bloom throughout the park. We have had a relatively wet and cool winter, and the camellias has responded in great profusion. Descanso was more crowded today than I can recall from any of our previous visits. 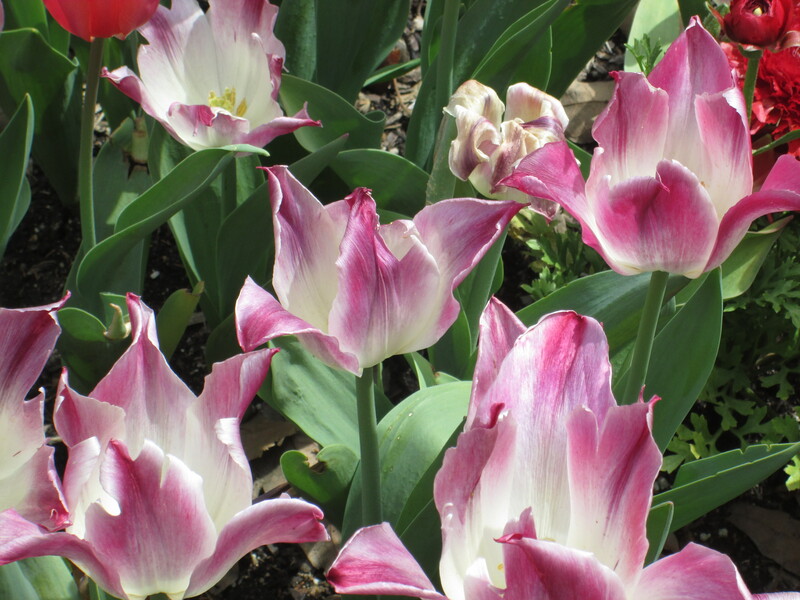 The parking lot was full, and hordes of people were positioning themselves in front of the tulips with plastic smiles while others pointed their smart phones at them and clicked away. 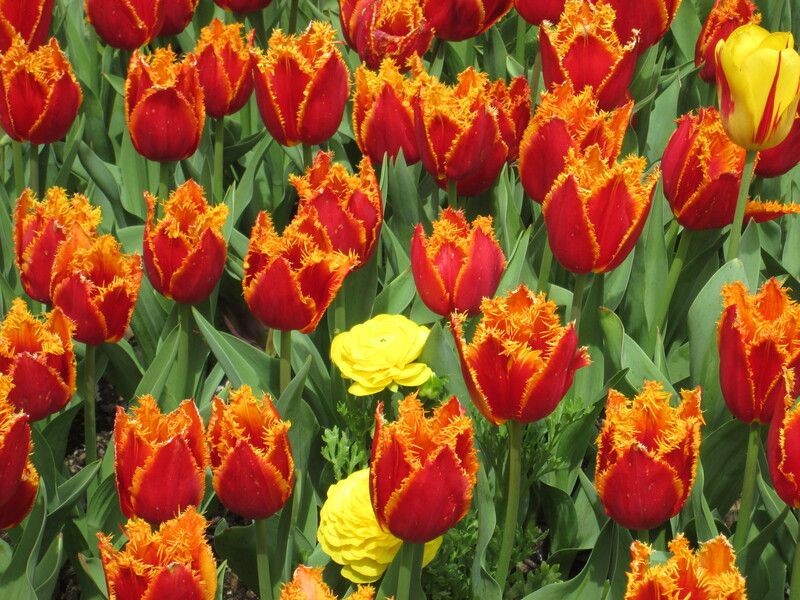 By the way, if you like tulips as much as I do, I highly recommend that you read Alexandre Dumas Père’s novel The Black Tulip about tulipmania in Holland.